Tech Gear 5.7 of San Marcos, Calif., is recalling about 4,000 pair of Mobile Warming Performance Heated Socks. HP is expanding an earlier recall and replacement program for certain notebook computer and mobile workstation batteries. The batteries can overheat, posing a fire and burn hazard. The recalled batteries may have been shipped with specific HP products or sold as accessories or provided as replacements from December 2015 through December 2018 through HP or an authorized HP Service Provider -- including certain HP Mobile Thin Client products. Your smartphone, and many other electronic devices in your home, is powered by a lithium-ion battery, which until lately you probably haven't thought much about. But since Samsung had to withdraw its Galaxy Note 7 from the market earlier this month because of a fire hazard, more attention has focused on the battery. The Note 7 isn't the first electronic device to burst into flames. In the past, laptop computers have overheated and caught fire. HP Inc., of Palo Alto, Calif., is recalling about 48,100 HP lithium-ion batteries in the U.S., Canada and Mexico. The battery packs can overheat, posing fire and burn hazards. The company has received seven reports of battery packs overheating, melting or charring, including four reports of property damage of about $4,000 total. This recall involves lithium-ion batteries containing Panasonic cells that are used in HP notebook computers. The batteries are compatible with HP, Compaq, HP ProBook, HP ENVY, Compaq Presario, and HP Pavilion notebook computers. The black batteries measure about 8 inches long, 2 inches wide and about 1 inch high. The battery bar code is printed on the back of the battery. “HP Notebook Battery” and the model number are printed on the battery. The batteries included in this recall have the following barcodes: 6BZLU, 6CGFK, 6CGFQ, 6CZMB, 6DEMA, 6DEMH, 6DGAL and 6EBVA. The batteries, manufactured in China, were sold at Best Buy, Wal-Mart, and Costco and authorized dealers nationwide and online at www.hp.com from March 2013, through August 2015. The batteries were sold with notebook computers for between $300 and $1,700. The batteries were also sold separately for between $50 and $90. Consumers should immediately stop using the recalled batteries, remove them from the notebook computers and contact HP for a free replacement battery. Consumers may contact HP toll-free at 888-202-4320 from 8 a.m. to 7 p.m. (CT) Monday through Friday or online at the HP Battery Recall website directly at www.HP.com/go/batteryprogram2016 or www.hp.com and click “Recalls” at the bottom of the page for more information. 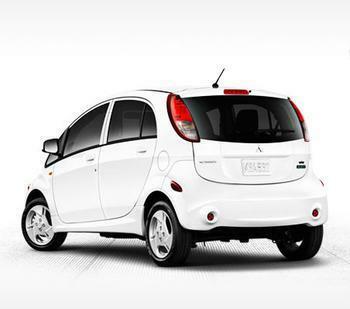 Mitsubishi Motors North America is recalling replacement lithium-ion batteries installed on certain 2012 Mitsubishi i-MiEV vehicles. The batteries were manufactured December 18, 2012, through December 21, 2012. The batteries may have internal contamination possibly causing reduced voltage. Also, the batteries may also develop a short-circuit during charging. Internal contamination of the battery may cause reduced voltage resulting in a stall-like condition, increasing the risk of a crash. Mitsubishi will notify the owners instructing them to take their vehicle to a dealer where the batteries will be replaced free of charge. The manufacturer has not yet provided a notification schedule. Owners may contact Mitsubishi at 1-800-222-0307. Mitsubishi's recall number is SR-13-006. Toshiba America Information Systems of Irvine, Calif., is expanding its March 2016 recall of Panasonic battery packs used in Toshiba laptop computers by about 83,000. Some 91,000 units were recalled in March 2016. In addition, 10,000 were sold in Canada and 5,000 in Mexico. After two separate reports of fidget spinners catching fire while charging, government safety officials are urging caution. In a statement to the technology publisher Gizmodo, the Consumer Product Safety Commission (CPSC) said it is investigating, and recommended users monitor the toys while they are charging. Sony Electronics of San Diego, Calif., is expanding its June 2016 recall of Panasonic battery packs used in Sony Electronics laptop computers. Another 700 battery packs are being recalled. About 1,700 were previously recalled. The lithium-ion battery packs can overheat, posing burn and fire hazards. This expanded recall involves Panasonic lithium-ion battery packs installed in 18 models of Sony’s VAIO Series laptop computers. Salvage World of Hattiesburg, Miss., is recalling about 700 self-balancing scooters/hoverboards. The lithium-ion battery packs can overheat, posing a risk of smoking, catching fire and/or exploding. The firm has received one report of a battery pack catching fire and/or exploding in Mississippi in 2017 resulting in property damage. No injuries have been reported. 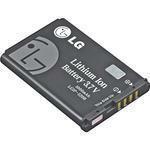 The lithium ion battery has been the key to mobile electronics. It powers all manner of portable devices, from laptops to smartphones -- even cars. But over time, you may notice that these batteries don't seem to hold as much juice. And now that consumers are keeping their smartphones a lot longer and not upgrading every two years, they often find their battery issues are getting worse. The batteries can overheat, leak or discharge, posing burn hazards. Springs Window Fashions of Middleton, Wisc., is recalling about 61,000 Zeus brand “Freedom Power” lithium AA batteries sold with motorized window coverings. The batteries can overheat, leak or discharge, posing fire and burn hazards. The company has received four reports that the batteries overheated, leaked or discharged, including one report of a minor burn. The death of a three year-old girl in Harrisburg, Pa., over the weekend is being blamed on a hoverboard. The child wasn't using the device. Authorities say it was plugged in and charging when it apparently overheated and triggered a fire that eventually engulfed the house, taking the child's life. Three other members of the family were critically injured. A California teen suffered second-degree burns when her Kyocera Wireless 2325 cell phone caught fire, according to local fire investigators. The 16-year-old Ontario girl's phone burst into "fist-size flames" without warning, said Frank Huddleston, an investigator at the Ontario fire department. Huddleston said he suspects the phone's battery overheated. Witnesses said the victim had the phone in her back pocket, when it "let out a whoosh," bulged, then shot out flames and smoke. She was treated for second-degree burns and released. Huddleston said there were no sources of flame nearby. He said witnesses saw flames coming from the bottom of the phone, near vents that are intended to prevent overheating batteries from exploding. Kyocera issued a recall of about 140,000 batteries used in Kyocera Model 7135 Smartphones in January. The recall announcement said the batteries can short-circuit and erupt with force or emit excessive heat, posing a burn hazard to consumers. In January, the Consumer Product Safety Commission issued its first-ever recall of cell phone batteries, some 40,000 from Coslight International Group in Hong Kong. The batteries were on four phones, all Kyocera Wireless models that overheated. One person was slightly injured from the defect. The batteries were also available from Verizon Wireless and Alltel. There have been other incidents involving portable phones overheating and exploding, raising concerns about the safety of jamming the devices into pockets, purses and briefcases and holding them against the face. 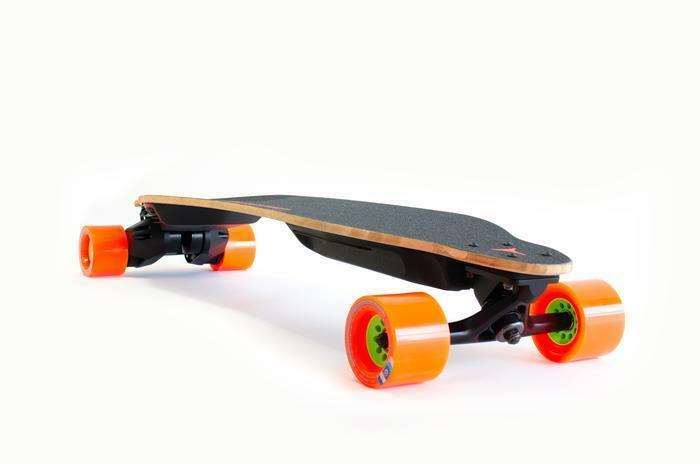 Boosted Inc. of Mountain View, Calif., is recalling about 3,300 electric-powered skateboards sold in the U.S. and Canada. The lithium ion battery pack can overheat and smoke, posing a fire hazard. The company has received two reports of the battery packs overheating and smoking. No injuries have been reported. This recall involves 2nd Generation Boosted Dual+ electric skateboards with lithium ion battery packs. “Boosted” is printed on the wooden skateboards. Serial numbers that start with S2634 through S2644 are located on a white sticker on the bottom of the boards. The battery packs were sold as original equipment with the skateboards and are attached to the bottom of the board in a black thermoplastic enclosure. Model number B2SR and “Boosted Lithium” are printed on the battery pack. The battery packs have an orange power button. The skateboards, manufactured in China, were sold online at boostedboards.com from September 2016, through November 2016, for about $1,500. Consumers should immediately stop using the recalled skateboards and contact Boosted for a free replacement battery pack. Consumers may contact Boosted toll-free at 844-395-0070 from 9 a.m. to 5 p.m. PT Monday through Friday or online at https://boostedboards.com and click on Battery Pack Recall for more information. It's lithium ion batteries that power the iPhones, iPads and other iStuff that have come to be regarded as the essentials of life. Only problem is, they tend to catch fire, leading Boeing Co. to warn airlines that loading up their planes' cargo compartments with bulk battery shipments pose unacceptable fire hazards. There've been plenty of cases of individual phones and other devices catching fire, both on the grund and in the air. Just one blazing phone is a problem; think what a blazing pallet of burning batteries could do. That, says the Wall Street Journal, is what led Boeing to issue a formal warning to its customers, urging them to stop accepting large shipments of lithium batteries until safer packaging and fire protection efforts can be worked out. Let them take a slow boat from China, Boeing advised, though not in so many words. It's hardly a new problem. There have been many case over the years of cell phones igniting in people's pockets, on airplanes and in other inconvenient locations. Last August, an airplane was evacuated in Tel Aviv after an iPhone 5 caught fire and filled the cabin with smoke. 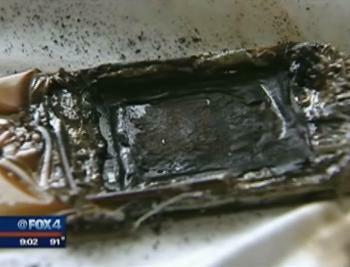 Last July, a smartphone caught fire under a 13-year-old girl's pillow in Dallas. 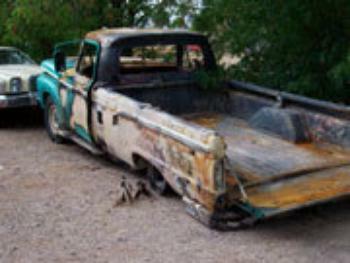 And way back in 2008, a laptop computer caught fire in a vintage pickup truck in Nevada, destroying the truck, a Remington rifle and setting off two boxes of ammunition. Boeing has reportedly been giving the no-big-battery-cartons advice to airlines who asked but has now issued a formal warning to all of the world's carriers, who are expected to comply. Airlines that disregard the warning would be on shaky legal ground in the event of a disaster attributed to flaming batteries. Boeing at least beat the U.S. government, which has been considering rules limited lithium batteries in carry-on luggage since 2007. 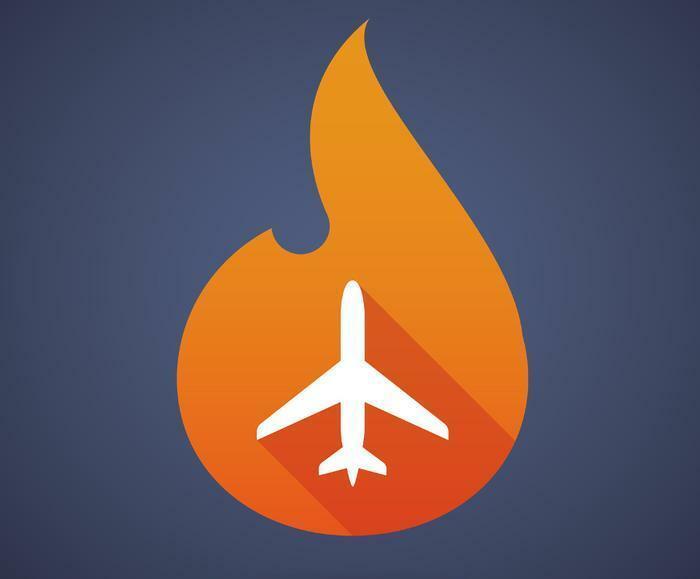 In March 2007, the Department of Transportation said there had been five fires in airplane passenger cabins or cargo holds since 2005, a period of only two years. Lithium metal batteries were banned from the cargo holds of U.S. airliners in 2004 but lithium ion batteries -- which are much more common -- are still good to go. Lithium metal batteries are nonrechargeable while the lithium ion type is the one we're all familiar with -- requiring frequent plug-ins to keep the juices flowing. The problem is that other things can get the juices flowing as well. Both types of batteries contain chemical-infused metals that get very hot very quickly if they come into contact with each other due to a short circuit or leaking seal. The result is a fast-spreading, very hot fire that is very difficult to extinguish. While a single battery catching fire in a phone or laptop may start a small fire, a battery catching fire in a shipment of thousands of batteries could start a blaze that would quickly become catastrophic. Many airlines have already stopped accepting battery shipments and Boening's warning may push the recalcitrants to act as well. While Boeing's warning doesn't have the force of law, airlines nearly always comply with formal warnings from manufacturers, so Boeing may have accomplished what governments so far have not gotten around to. NVIDIA Corp., of Santa Clara, Calif., is recalling about 88,000 NVIDIA SHIELD tablet computers in the U.S. and Canada. The lithium-ion battery in the tablets can overheat, posing a fire hazard. The company has received 4 reports of batteries overheating due to thermal runaway, including 2 reports of damage to flooring. 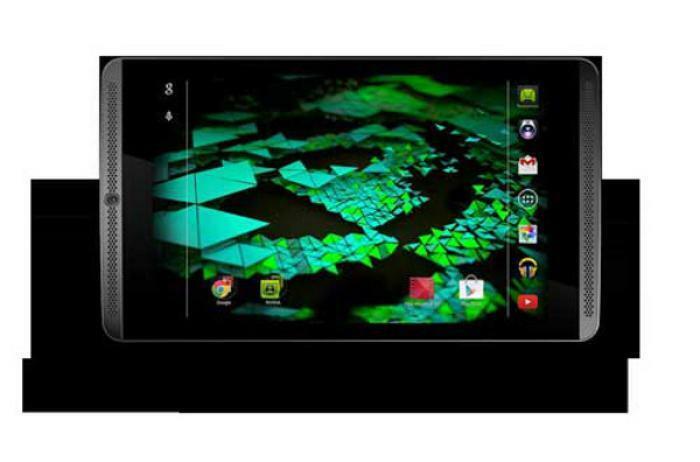 This recall involves NVIDIA SHIELD tablet computers with 8-inch touch screens. Model numbers P1761, P1761W and P1761WX and serial numbers 0410215901781 through 0425214604018 are included in this recall. NVIDIA and the model and serial numbers are etched on the left side edge of the tablets. The SHIELD logo is on the back of the tablets. The computers, manufactured in China, were sold at GameStop stores nationwide and online at Amazon.com, BestBuy.com, GameStop.com, NewEgg.com, TigerDirect.com and other websites from July 2014, through July 2015, for between $300 and $400. Consumers should immediately stop using the tablets and contact NVIDIA for instructions on receiving a free replacement tablet. Consumers may contact NVIDIA toll free at (888) 943-4196 from 8 a.m. to 5 p.m. PT Monday through Friday or online at www.nvidia.com and click on “NVIDIA Tablet Recall Program” at the bottom center of the page in green letters. HP of Palo Alto, Calif., is recalling about 52,600 lithium-ion batteries for HP notebook computers and mobile workstations sold in the U.S and Canada. The batteries can overheat, posing fire and burn hazards. The company has received eight reports of battery packs overheating, melting, or charring, including three reports of property damage totaling $4,500 with one report of a minor injury involving a first degree burn to the hand.